Brace yourself for misery – it’s officially “pollenpalooza” for Chicago. A dangerous air quality alert was issued for the city after the highest pollen level in more than two decades was recorded Friday morning. What does it mean for us exactly? Just expect to feel tired, sluggish and achy from sinus pain and pressure. Doctor Leonard Bielory, a Rutgers University researcher, explains because of the overbearing winter that never seemed to cease, tree season started late. 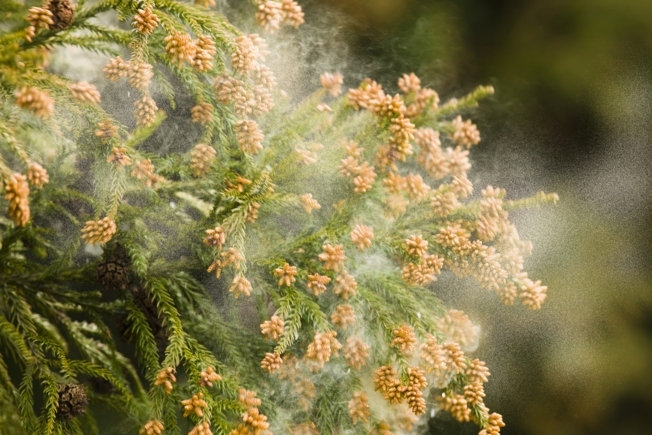 The spring allergy season, caused primarily by tree pollination, typically begins in late February. By March birch and oak pollen have been building up, which is why now that spring is finally here and the trees are in bloom the over-due release of pollen at such a historic level. Joseph Leija, MD, the founder and conductor of The Gottlieb Allergy Count at Gottlieb Memorial Hospital, gathered the daily pollen count at 5 a.m. Friday and spent two hours counting each spore. He found a tree pollen count of more than 2,000 spores, which is highest daily pollen count in 20 years. So if you find yourself feeling extra miserable, know it’s not just you – there’s a scientific reason for it.